For the price Singer CG590 is not a great option. It has some plastic parts as well. Not highly recommended. First of all, let me tell you one thing, this sewing machine is not all metal. There are some plastic parts as well. One good thing about this sewing machine is that it is jam proof (almost), there is no thread breakage either. The machine easily adjusts to thickness changes. Especially when you hem the bottom of jeans, the stitches come out nice and consistent. You can use the built-in serging stitch for giving seams. 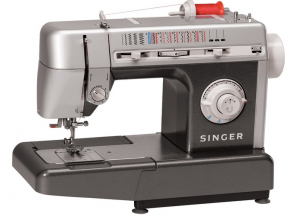 Singer CG590 can sew around 1,100 stitches/min which is pretty fast. 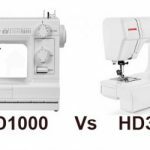 It sews through any kind of fabric effortlessly. It is stable as well. The automatic thread tension is a good feature. For the price, Singer could have added more built-in stitches. 18 stitches is below par I guess. The LED light is not really impressive, it is way too dim for me. It is not computerized.No LCD display for controls. 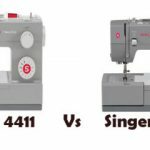 I mean Brother provides LCD display for their sewing machines that cost under $100, why not Singer, that too for a much costlier sewing machine like Singer CG590. Overall Singer CG590 is a precision made machine designed for high performance and consistent quality. 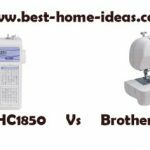 You will love this if you sew a lot. It will be a great tool for advanced sewers. 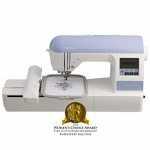 Performance wise, you can’t ask for a better sewing machine for this price, but if you look at the features on-board, you may get disappointed. 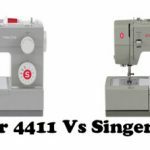 If you have a little more dollars to spend, you may consider Singer 9960 Quantum Stylist, instead of this one or you can go for an inexpensive Singer Stylist 7258 which has won the Women’s Choice award. It is an intermediate machine though.